Legends like Bob Mould are held to a different standard, and Beauty & Ruin has just raised his bar higher. Legends like Bob Mould are held to a different standard, which is fair enough. Through his work in Hüsker Dü, Sugar, and under his own name, Mould has built up enough goodwill and sweat equity in his three-and-a-half-decade career that whatever he's done of late has been greeted with admiration, at the very least. Yet considering that his reputation doesn't just him precede him, but casts such a long shadow, Mould is also the kind of legacy artist whose more recent recordings can be easy to overlook with respectful appreciation, with the implication being that he's past the prime that made him who is. In effect, the way Mould is received seems caught in a no man's land between fans wanting him to revisit the past but not anticipating he'll match it and those hoping for something a little different, though without a good idea of what that might be. That's because it's rare for artists who've been in it for the long haul to exceed diminished expectations and diminishing returns, but Bob Mould accomplishes just that with his stunning, captivating new effort Beauty & Ruin. How Mould pulls it off on Beauty & Ruin is by offering something for everyone who would want anything from him, cranking out the power-trio guitar-pop that earned him his hall-of-famer status, while opening up about his life at this place and time with thoughts that only could have come in the here and now. Indeed, Beauty & Ruin is such a personal album that Mould couldn't have expressed his innermost thoughts on his ever-changing experiences growing older except by making the kind of music he does best. As if he's taken to heart that there's no time like the present, the more mature themes Mould explores are the reason why the roaring, catchy pieces on Beauty & Ruin don't simply sound like throwbacks, though they would be excellent if they were just that: Furiously executed by Mould and his current band of bassist Jason Narducy and Superchunk drummer Jon Wurster, these songs just feel too vital and urgent to be blasts from the past. That's most movingly the case with "The War", the track that most overtly eulogizes his father, whose passing haunts and inspires Beauty & Ruin. Propelled by Wurster's go-for-broke percussion, Mould's riffs haven't often felt as insistent and yearning as they do on "The War", reflecting his confusing, conflicted feelings by coming across both muscular and tender, defiant and understanding, all at the same time. The bittersweet tone of the music is the pitch-perfect analogue for Mould's intimate emotions, lashing out and reaching out at the same time, as he mourns, "And this war we fought was violent and long / Weeks turned into years but we kept on keeping on." If anything, facing both his father's mortality as well as his own existential plight seems only to have given Mould new perspective and motivation on Beauty & Ruin. So even when his lyrics bear the searing, lacerating self-reflection he's known for, there's an exuberance and energy to the music that elevates everything. In particular, "Hey Mr. Grey" stands out, not just for a headlong melody that's as fierce and forceful as anything Mould's done in the past few decades, but also because it's armed with a sly wit that could only have been gained with hard-earned self-knowledge. On it, Mould mocks himself by imagining how others might see him, as a grumpy older man with a "get off my yard" sign and "a broken-hearted fool" who's "so filled with rage". And yet, the irony is that the vibrant, bounding music on "Hey Mr. Grey" undercuts Mould's point and gives his observations a wry, humorous edge that his younger, more impulsive self wouldn't have been able to convey as warmly and wisely. So Mould is only half-right when he says "I went back to do what I know best" on Beauty & Ruin's first single, "I Don't Know You Anymore", because the album's most transcendent power-punk moments aren't just timeless, they're current. Indeed, "I Don't Know You Anymore" and "Fire in the City" are dynamic, insistently catchy rockers that don't just recall Sugar's best numbers, but build on them. With "Little Glass Pill" and "Kid with a Crooked Face", Mould's crafted romping blasts that combine the bite and vigor from his Hüsker Dü heyday with the added benefit of hindsight that's more constructive than self-destructive. There's no way Mould would have had the wisdom of perspective he does now when he was caught in the heat of the moment back in the day, something he ponders on "Crooked Face": "I hate the chaos but it's where it all begins / My early days, always got my way / I brought it on myself, the kid with a crooked face." On Beauty & Ruin, Mould's guitar-pop is sturdy and stirring enough to take on heavier and more poignant resonances, covering a broad range of tones and themes that reflect a gamut of feelings and experience that could only be accrued by living through a lot. It requires a high level of knowledge and know-how for Mould's music to hit the true emotional notes it does, most evident when Beauty & Ruin makes a more forward looking, even optimistic turn on its second half, beginning with "Forgiveness". With a brisk strum that splits the difference between his Workbook-era solo work and his Sugar catalog, "Forgiveness" is about actions as much as words, with Mould's voice sounding as tender and understanding as the refrain he croons, "I come to you to ask for your forgiveness / I need to lift you up before I fall." Likewise, the patient, open melody of "Let the Beauty Be" feels particularly sympathetic, as Mould might as well be putting a consoling arm around your shoulder when he lets you know, "You've been living on the edge of a knife / Maybe this could be the time of your life / It's time to put it down and pick yourself up." But it's on the aptly titled "Tomorrow Morning" that Bob Mould's vision of a future informed by the past comes through most clearly and powerfully. Set to an ethereal melody that's amped up just enough, "Tomorrow Morning" is a stirring ode to leaving what's behind you behind you and tackling everything that was set aside while you were left holding all your baggage. So when Mould sings, "Goodbye yesterday, I need to find a better way / Tomorrow morning should be fine," he's also making the most of today by putting yesterday and tomorrow into perspective. 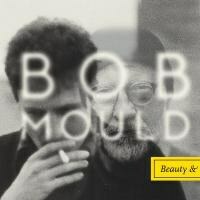 And really, Beauty & Ruin as a whole communicates everything that needs to be about what's happening in the present for Bob Mould, as his vaunted past can be seen as setting the stage for what he's doing now and into the future, no longer overshadowing or haunting it.